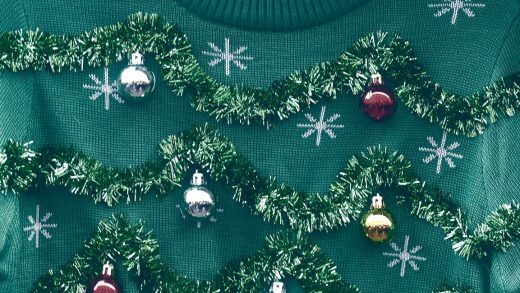 What: The ugliest news of the year depicted on holiday sweaters. Why we care: The ugly Christmas sweater trope has long jumped the holiday shark. Once a quaint vintage store gag, it’s become a cottage industry of holiday-themed fast fashion. But here, the Finnish newspaper Helsingin Sanomat uses the format to illustrate the real ugliness facing the world. The sweaters are 100% wool and made in Finland. The paper sent a sweater to celebrities and activists that support causes fighting each piece of ugliness. Arnold Schwarzenegger and Leonardo DiCaprio got a climate change sweater; Nobel Peace Prize winners Martti Ahtisaari, Malala Youszafai, and Nadia Murad received war sweaters; and Tarana Burke and Alyssa Milano got sexual harassment sweaters.